According to Statista, mobile apps are anticipated to generate a gross annual income of $189 billion by 2020. With such ambitious projections, it’s upon aspiring app developers to step in and plan their preferred mobile app. However, coming up a mobile app isn’t a walk in the park. This is because it should be anchored on an elaborate business plan. It’s at this juncture, that we come in to provide the guidelines for drawing an achievable plan for your mobile apps. Before rushing to have your app on the market, it’s prudent that you conceptualize about your audience. Identifying the right target can either be a challenge or not. This squarely lies on how well you know your objectives. It should come to your attention that the right audience gives directions on what to incorporate, change or update on your plan. Apart from having the target audience, it’s upon you to keep track and monitor them. While narrowing down on the specific audience, you may wish to focus on those who stand to benefit most. However, ensure that the identified group accrues enough revenue to sustain your app. As you plan for your app, always keep in mind that first impressions matter a lot. To tighten any loose ends, it’s important to have an outstanding brand. This should encompass; the app name, icon, description. These parameters should capture the exact purpose of the app. Let’s say you have a soccer app. The icon should at least have a ball or football terms. Another aspect to check while coming up with a brand is the competition. If there are similar apps matching your idea, it’s advisable that you be spontaneous. Also, avoid picking already used logo or icons. Furthermore, the plan should also provide room for rebranding. By the end of 2017, Google’s Play store and IOS had 2.8 million and 2.2 million apps respectively. The statistics may indicate that Google, is leading in terms of numbers, but when it comes to revenue generated the inverse is true. The reason we’ve used the above example is to showcase the varying market channels. We recognize the alternatives out there and it’s crucial that you factor this in building your plan. You may simply opt to go for the platform that is available in the location of your target audience. Go ahead and interrogate the app categories and how do either of them they favor your app. This is how you discover whether to use both or one of the entities. Nonetheless, choosing both has its own cost implication. So choose wisely! You might have a splendid idea of what you’d like your app to appear but miss out on this. ROI (return on investment) refers to the efficiency of investment and more so in building a mobile app. Here, it’s expected that you evaluate cost implications against the expected income. It’s pointless to come up with an app that doesn’t profit you in any manner. Why do we say this? In a number of instances, you’ll identify that developing and running mobile app is quite costly. If you fail to account for this, then you may end up getting frustrated (especially from a worthwhile investment). Additionally, return on investment aids in coming up with a budget for the entire app development process. 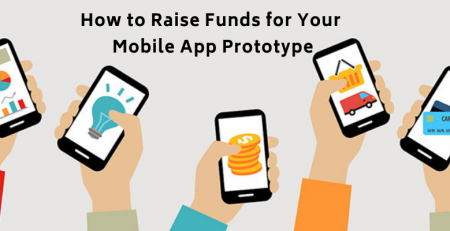 Looking to implement your mobile app business ideas into reality? In this mission, you have the liberty to pick and involve extraordinary services. At the end of the day, the main aim is to woe your audience by all means possible. Subsequently, be cautious not to deviate from the goal of the app. Jack Welch once stated, “If you pick the right people and give them the opportunity to spread their wings and put compensation as a carrier behind it, you almost don’t have to manage them.” The same applies to app development where you need a qualified and competent team. Some of the members include manager, app marketers, branding crew, planners and a developer. All team players should be aware of the objective of the app and all efforts geared here. Once you’ve integrated this then the rest should work out smoothly. At times you’ll be expected to gauge and make changes to your team for a better outcome. Remember, team synergy should reflect on the final output. Once you’ve identified the type of app you’d wish to have, the next step is to market it. How do go about this? Identify the most suitable platform for marketing. The most preferred channels are social media, in-app ads, search engine, TV ads, content marketing and email services. Always evaluate the cost to be incurred and revenue projections through marketing. We make it clear for app owners that marketing can be a burden or strenuous. Nevertheless, it’s upon our readers to keep pace and not give up on this quest. Another tip is that you should be conversant with market trends (present and future). This provides the much-needed information for keeping your app afloat after launch. Anyhow, the overall market industry is useful as it gets the word out there. If you follow this, then the end result is more traffic towards your app. Since we motivate people out there to build a plan for the mobile, it would be sad to see some of the brilliant ideas going to waste. On the contrast, it ought to be harnessed into a work plan. If this is your motive, then the above guide should elevate your app to peak performance.